Hurst, Texas – November 16, 2011 – The Metroplex’s first blade-free, laser–assisted custom cataract surgery was performed at Texas Eye and Laser Center in Fort Worth, using the Alcon LenSx® Femtosecond Laser. Dr. Brian Ranelle and Dr. Jerry Hu are among only a select few surgeons in the world that use this technology for cataract surgery. Texas Eye and Laser Center is one of the first surgical facilities in the United States to offer this advanced technology. Cataract surgery is the most commonly performed operation in the United States, with more than 3 million cases performed annually. Each human eye varies according to size, depth, curvature of the cornea and other essential factors. In preparation for cataract surgery, every eye is carefully measured and mapped. The LenSx laser comes into play by using a combination of highly advanced technologies to capture extremely precise, high-resolution digital images of the eye. “These real-time images, plus the measurements and data they provide, are then used to plan and perform a surgery to customized specifications that were previously unachievable,” notes Dr. Hu. Texas Eye and Laser Center prides itself in offering the very latest lasers, surgical techniques and precision testing equipment in the world. From blade-free Lasik to the new all-laser cataract procedure, patients at Texas Eye and Laser Center benefit from the latest technology available. Just as important as the new technology, is the personal service given to each patient. To learn more, visit lasikdr.com/ or call 817-768-6620. Now, introducing a cataract procedure as unique as your eye itself. 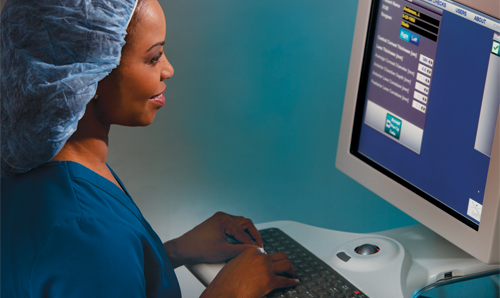 The LenSx laser is an advanced, precision based technology that operates with unmatched precision and computer-control, helping surgeons to customize the procedure to your eye. It is unquestionably the most technologically advanced option for cataract patients. While all human eyes share the same basic anatomical structure, every eye is just a bit different in terms of size, depth, curvature of the cornea and other key features. Which is why every eye must be carefully measured and mapped prior to cataract surgery. While these measurements have been routinely performed prior to surgery, the LenSx laser uses a range of highly advanced technologies – including integrated optical coherence tomography (OCT) to capture incredibly precise, high-resolution images of your eyes. These images – and the measurements and data they provide – are then used to plan and perform a surgery to exacting specifications not attainable with traditional surgery. The incredibly advanced LenSx laser is designed specifically for performing the most delicate ocular surgery. It uses a laser source to produce femtosecond laser pulses; an aiming system to localize specific targets in the eye; an optical delivery system to precisely deliver laser pulses to desired targets in the eye and a computer controller to perform clinical procedures.